Paine had asked Pant to babysit his kids so that he and his wife could go to movies. Australia finds themselves in the deficit of 498 runs at the end of day two, as India declared their first innings on 622/7 after 193 from Cheteshwar Pujara and fifties from Ravindra Jadeja and Mayank Agarwal at the SCG. However, there was one more tormentor of the Australian bowlers, who became the first Indian wicketkeeper-batsman to score a hundred in Tests in Australia. Rishabh Pant took full advantage of a tired Australian bowling attack to hit his Test-best 159*. Before his innings, Pant was getting famous for his banter from behind the stumps and his legendary verbal duel with Australian counterpart and skipper Tim Paine. Paine had burned Pant with his ‘babysitter’ jibe at MCG. 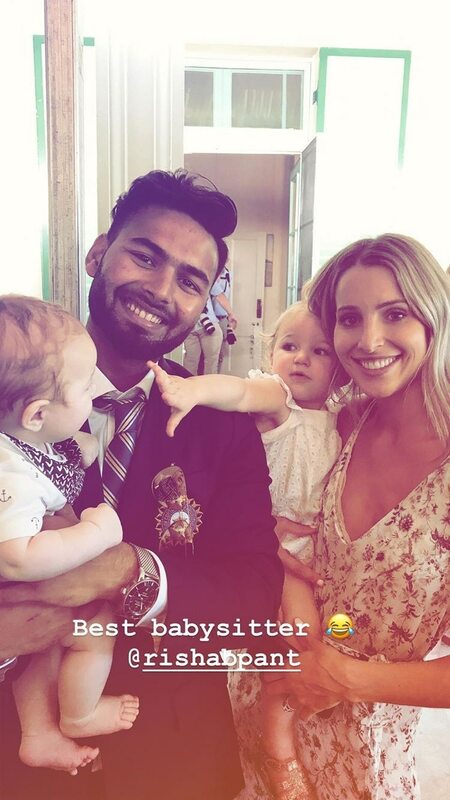 Pant made the jibe a reality when he posed with Paine’s wife Bonnie and his two kids during a party hosted by the Australian Prime Minister on the New Year's Day. 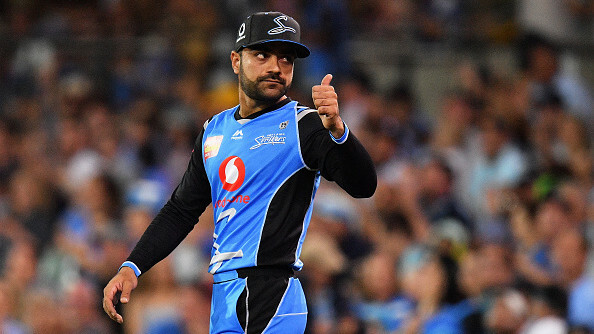 The post went viral and Pant won hearts in both Australia and India for his sweet gesture. Reacting to the viral post, Rishabh Pant said, "Everyone's family were really nice. We met most of the people during the function at the prime minister's house. It was lovely meeting them. I don't think I have to change myself for something like that. The only thing is they put the photo on Instagram and it went viral." It all started in the Melbourne Test when Paine had a go at Pant, who was batting during India's second innings. "Tell you what big MS is back in the one-day squad. Should get this bloke down to Hurricanes... They need a batter. Fancy that extend you Aussie holiday, beautiful town Hobart too... get him a waterfront apartment. Have him over for dinner," Paine was heard saying on the stump mic. Meanwhile, Pant revealed why he keeps chatting away while keeping wickets. “This is a way to keep yourself busy and positive. When you're having a long day on the field, everyone gets tired. Each of us have a specific way to keep ourselves focused and positive. This is my way of it doing it," Pant told the media earlier in the day. He also remarked, "Everyone in the team has given me the freedom to express myself. That's the best part about my batting. Every time, when I go out to bat, I just enjoy myself."